An official survey that has been withheld by the government shows India's unemployment rate rose to a 45-year high during 2017-2018, after the government's November 2016 withdrawal of high-value currency notes, the Business Standard newspaper reported on Thursday, delivering a blow to Prime Minister Narendra Modi just months before what is expected to be a closely fought general election. A political controversy over the Labour Bureau's Sixth Annual Employment-Unemployment Survey erupted after the acting chairman and another member of the body that reviewed the jobs data resigned, saying there had been a delay in its scheduled December release. Rahul Gandhi, president of main Opposition Congress party, said that contrary to Modi's promise of creating two million jobs a year, the unemployment rate had reached its highest in 45 years, and 65 million youth were jobless in 2017/18. "Five years later, his (Modi) leaked job creation report card reveals a national disaster," Gandhi said on Twitter. The assessment by the National Sample Survey Office (NSSO) conducted between July 2017 and June 2018 showed the unemployment rate stood at 6.1 percent, the highest since 1972-73, the newspaper reported. In 1972/73, the NSSO data showed unemployment at 5.18 percent, after global oil shocks and a war with Pakistan. 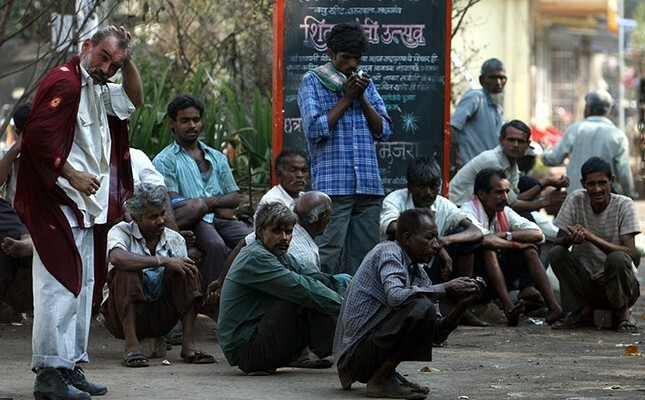 The report said that joblessness stood at 7.8 percent in urban areas compared with 5.3 percent in the countryside. The unemployment rate for rural women stood at 13.6 percent, compared to 4.8 percent in 2011/12. The labor force participation rate - the proportion of population working or seeking jobs - declined to 36.9 percent in 2017/18 from 39.5 percent in 2011/12, the report said. The government has repeatedly said the 2016 withdrawal of 500 and 1,000-rupee currency notes aimed to weed out "black money" or untaxed money hoarded from corrupt practices had only a temporary negative impact on the Indian economy. A report released by the All India Manufacturers' Organisation said last month 3.5 million jobs had been lost since 2016, mainly due to demonetization and rising working costs after the launch of the national tax. The last report published by the statistics ministry had shown that unemployment rose to 5.0 percent in 2015/16 from 4.9 percent the previous year and 4.0 percent in 2012/13. Male unemployment stood at 4.3 percent, while it was 8.7 percent among women in 2015/16, the data showed.